The July 7th Incident (七七事變), also known as the Lugou Bridge Incident (盧溝橋事變), was a battle between the Republic of China's National Revolutionary Army and the Imperial Japanese Army outside of the walled town of Wanping (宛平鎮) to the southwest of Beiping (now Beijing) on July 7, 1937. With the Japanese forces invaded Beiping, China, it marked the start of the Second Sino-Japanese War that lasted from 1937 to 1945. China fought Japan and received initial economic helps from Germany, the Soviet Union and the United States. After the Japanese attacked on Pearl Harbor in 1941, the war merged into the greater conflict of World War II as a major front of the Pacific War. The Second Sino-Japanese War was the largest Asian war in the 20th century. After 77 years, we still need to remember the great cost of the Second Sino-Japanese War as it made up more than 50% of the casualties in the Pacific War when the 1937–1941 period was taken into account. We also need to hold the war criminals accountable by highlighting wartime atrocities, so as to resist any future war attempts. 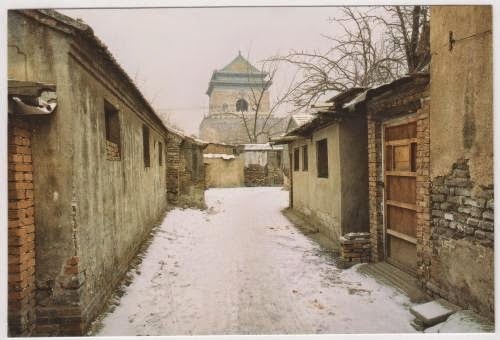 Postcard US-2017736 to Montana shows a Hutong (胡同), typical narrow street or alley in Beijing, with background of a gate in the historic city defense wall.